Here at A Few Good Minds Student MBA Blog we are aware that success is subjective, so we love hearing alumni success stories. In our opinion there’s nothing more impressive than seeing an individual whose educational choices have launched their career. This is especially true with one MBA Alumnae who we follow quite closely, Lindsay Angelo (MBA ’08). Since completing her MBA at SFU in Vancouver, Lindsay was brought on as a future-manager at British Columbia’s second largest corporation, and has led a team in the Athlete’s Village for the Vancouver 2010 Olympics. Since first discovering that Lindsay Angelo is one of the SFU MBA program’s standout alumni, A Few Good Minds MBA Blog has featured her several times, and invited her on as a regular contributor. At the end of the interview below you can find the links to all of her stories and contributions. In this article we asked Lindsay two questions with regard to why she chose SFU as the school at which she would take her MBA. Since this interview with Lindsay, the team at A Few Good Minds has asked nearly 100 current students and alumni the question: “Why did you do your MBA in Vancouver?”. Following the short interview with Lindsay you can find the link that takes you to the article featuring the numerous answers to this question. AFGM: The classic first question in any MBA interview: What drew you toward SFU, and more specifically, the Management of Technology MBA? Lindsay: SFU’s MBA in Management of Technology provided an applied approach to the MBA: a program where I could gain everything a broad-based MBA would provide but with a specialization in technology, a word so prevalent and important in the business world today. I had always had an interest in technology and knew this specialization would equip me with the tools to succeed in any environment. Leveraging technology can provide a competitive edge in many industries. For this reason, I felt the MOT MBA would be a great route to take. 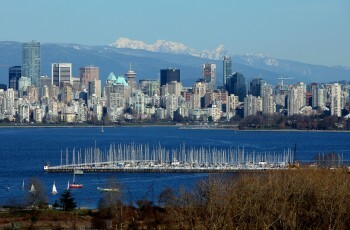 AFGM: Did Vancouver have any influence as the location which you’d be studying for the next year and a half? Lindsay: Admittedly, although SFU’s business school is located in the core of downtown near many of Vancouver’s flourishing businesses and in the old Bank of Montreal building, SFU’s campus also provides an ideal environment to learn. The education, community connection, and specific program were my first priorities, but yes, Vancouver was a huge bonus, and I’m happy to call it home. We look forward to bringing you Lindsay’s story and the stories of several other current students and graduates as we help to connect SFU MBA grads and follow them in their careers.